This is a game I knew very little about until I saw the trailer for the Switch version. I was intrigued with by story and gameplay of the point-and-click genre. 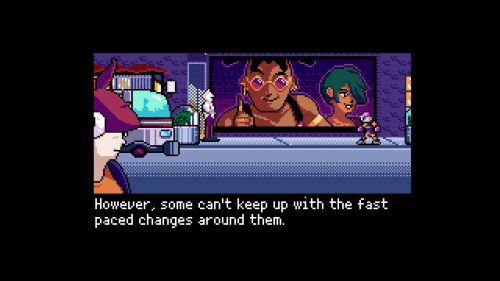 In my trailer impression of 2064: Read Only Memories INTEGRAL I stated how the genre is new to me. After getting some playtime in, I can say I’m glad I discovered that trailer. The gameplay reminds me of watching my friend recently playing Manic Mansion on the NES, which is a good thing. I remember as a kid watching my friends play these type of games on the DOS PC. Now, this is my moment to play this old school style of gaming and I love it. What has me hooked is the story, voice acting, and how the Nintendo Switch is the perfect console for this type of game. You are given two styles of gameplay and both work well depending on the condition. This is one of the few games I prefer playing in handheld mode instead of the console being docked to the TV. I will explain more in my full review, but I feel this game is going to catch a lot of players by surprise with its story, gameplay, and the extra side mission exclusive to the Switch.